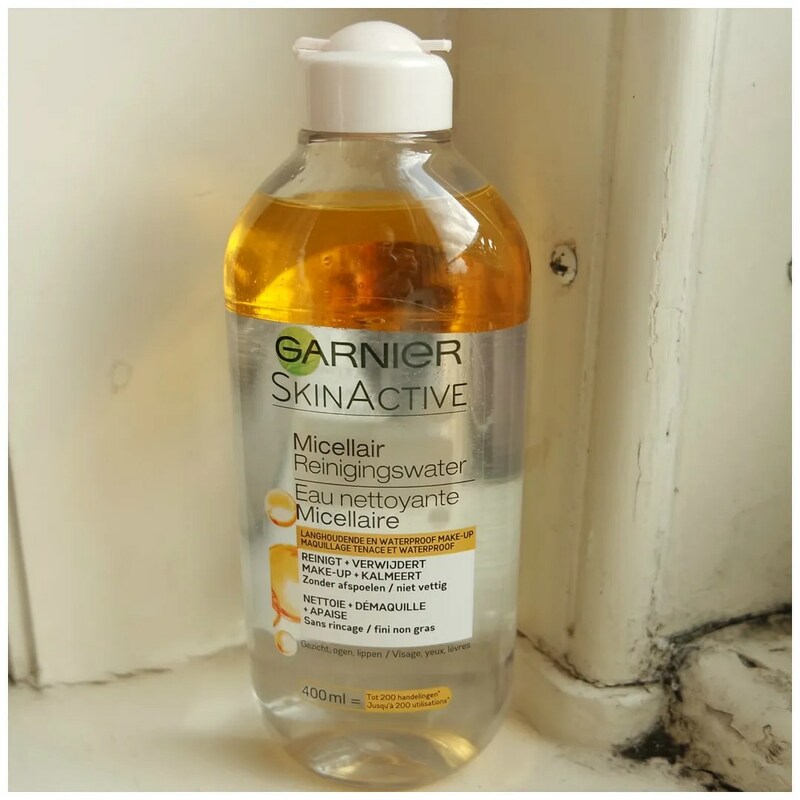 The minute I spotted this Garnier Micellar Water in Oil I knew I had to try it. Initially I feared it would take eons for it to travel into Dutch drugstores as is the case with many drugstore products. In contrast, I think I spotted this in my local drugstore just days after I saw it online. Plus Garnier had a buy 1 get 1 free deal on. I grabbed one and if you know how much I love the original Garnier Micellar water, than you should know I love this even more. Micellar waters have truly shook up the make up removing world since they went viral. I tried the original Bioderma, but preferred their Hydrabio (with the blue cap) much better. Since the Garnier version with the pink cap is most like the original Bioderma, I was still hoping Garnier would come out with a more hydrating version as well. This is not that, but I love it for a totally different reason. The product starts off like any other 2 phase make up remover that you might have already tried. This is a formula that many eye make up removers also utilize. On the bottom you have the micellar water, on the top you have the oil. As with the original Garnier Micellar water, you receive a generous amount. A bottle contains 400 ml of product and retails for €6.49 a piece. Since Garnier is on sale so often, it is easy to get a good deal on this too. When you shake it up, you’re left with a pale yellow substance. This bubbles up like the original micellar water, but less so I feel. 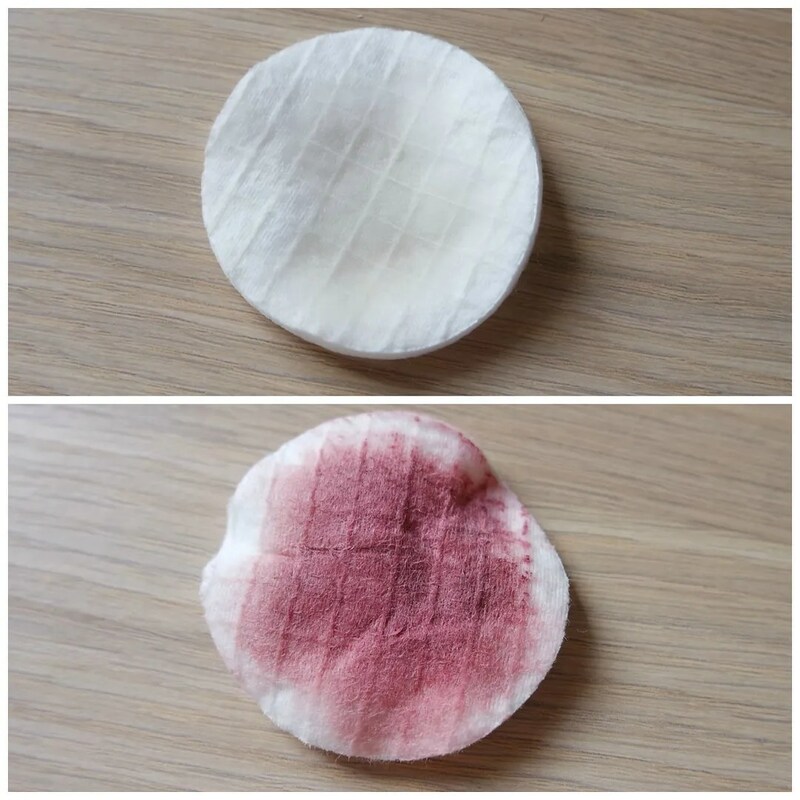 The product doesn’t have a clear scent and once applied to a cotton pad it simply looks clear rather than yellow. 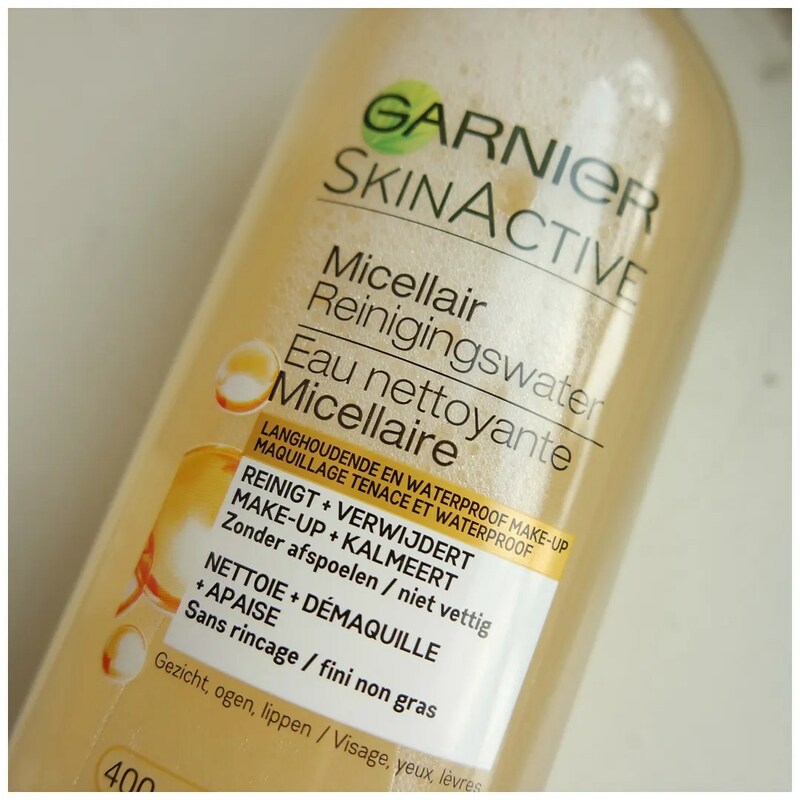 Garnier promises this product to continue micellar water and argan oil. It should remove waterproof make up and be good for sensitive skin. It should dissolve make up without rubbing or rinsing. Looking at the list of ingredients, it is a bit longer than most micellar waters. A good thing is the argan oil which is pretty high up on the ingredient list. It does contain fragrance, but it is the very last ingredient on the list. I’ve been using this since April now and my sensitive skin loves this stuff! The oil allows your make up to be dissolved much more easily and I find I have to use less of this than with a traditional micellar water. I decided to show you how this works by taking some swatches off my arm. I applied the amount I would use for my face onto a cotton pad. 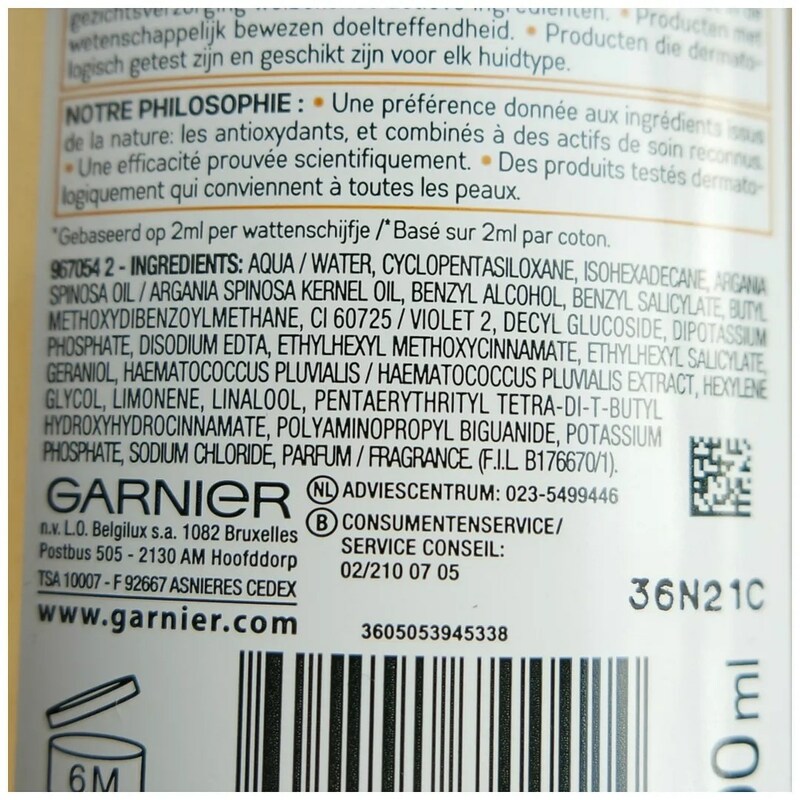 Garnier advises to use 2 ml of product at a time. With one easy swipe, the result is one very dirty cotton pad. What I do have to say is that I do find this to leave a bit of a greasy residue on my skin. Hence, I prefer to follow up with a clarifying toner afterwards to make sure my skin is super clean and no make up and dirt is left behind. It not only gets rid of the greasy feel, but I feel it also takes care of balancing out my skin after cleansing and prepping it for skincare. 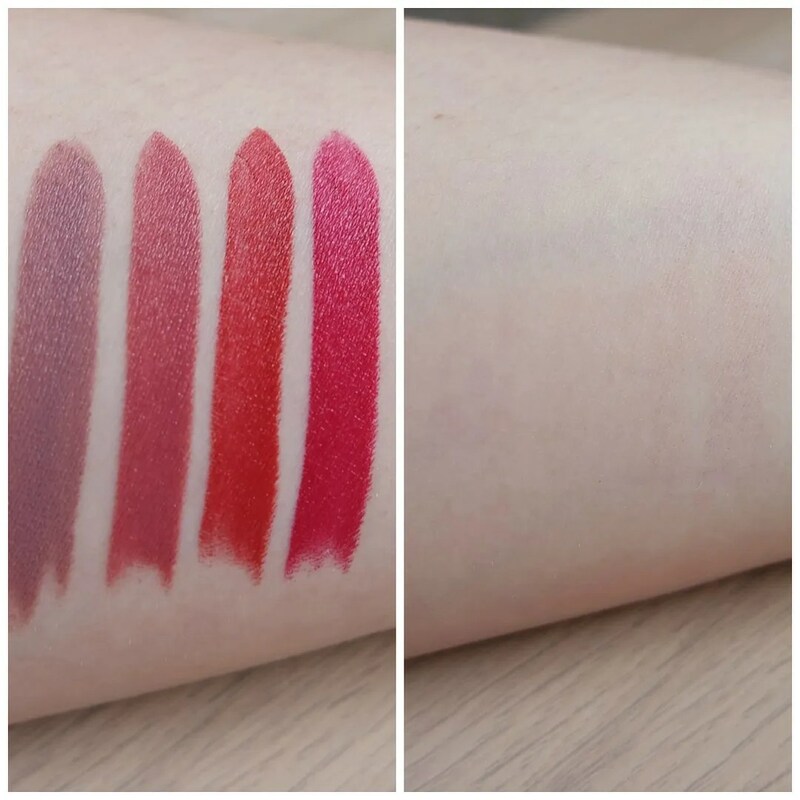 Just to be on the safe side: on the left you can see the lipstick swatches. On the right you see my arm once they’ve been removed. I do not tend to use micellar water for removing eye make up. I prefer using a separate eye make up remover for that purpose. But my face and lips are definitely the areas of my face I am using this on. As you can see only the two darkest shades leave a little bit of a stain behind and I have found this stuff to even take off a longwearing liquid lipstick after a full day of wear. Need I say more about this? 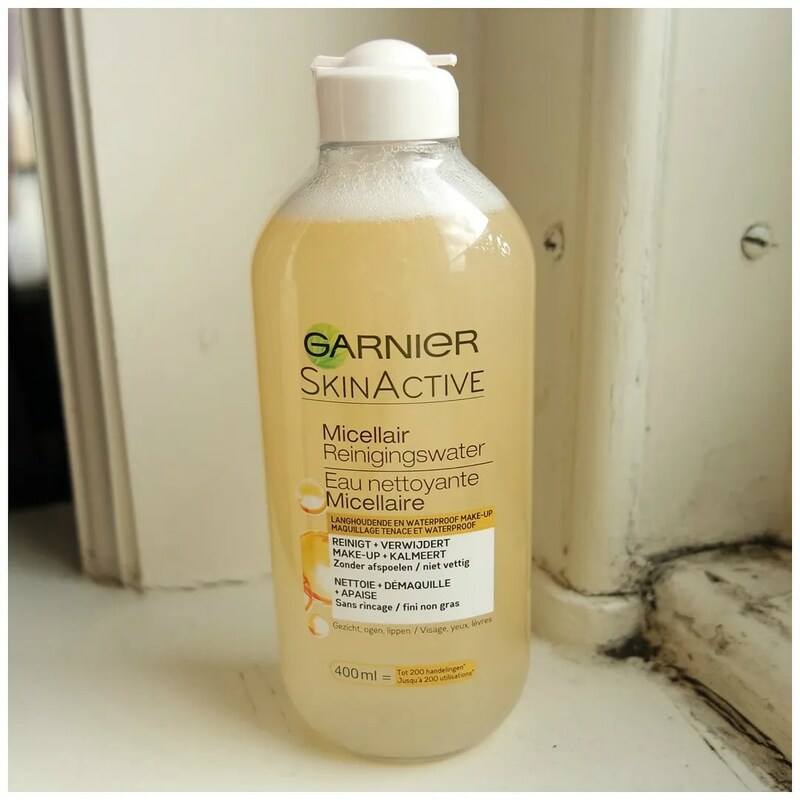 It is simply the best version of micellar water Garnier has put out so far. The only downside I find is that you do have to pull in another product (the toner) to remove the oily residue, but perhaps if you have super dry skin this may just be the cleanser you’re looking for. What do you use to remove your make up at the end of the day?